West Friendship, Maryland – September 16, 2014 – Woodstoc Roc and the Ulman Cancer Fund for Young Adults (UCF) are pleased to partner for the Woodstoc Roc benefit concert Saturday and Sunday, September 20 -21, 2014. The event is from 9 a.m.-9 p.m. at the Howard County Fair Grounds. Tickets are $20 for One Day or $35 for a Weekend Pass. Brian Kahat was 6 years old in 1969 when the Woodstock Music Festival brought together half a million people to celebrate peace, love, and rock ‘n’ roll. Today, Kahat, as a stage 3 cancer survivor, is celebrating not only peace and love, but life and hope, for those affected by cancer. 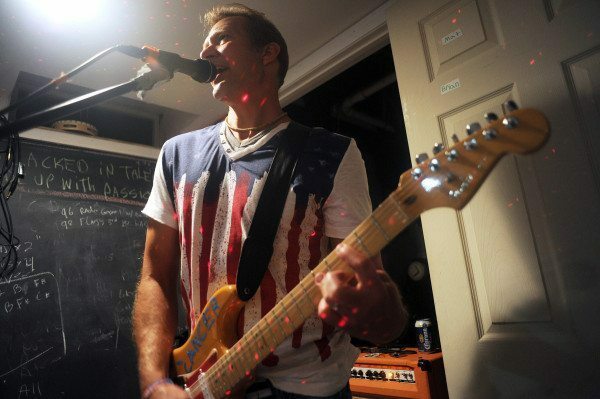 Soon after his recovery, Kahat founded Woodstoc Roc, a local benefit to “Roc out Cancer.” Having realized his own childhood dream of playing in a band, Brian knew that rock ‘n’ roll would be his way to help the cause. Brian credits the recovery of his health to the support of his family and friends, but his conception of Woodstoc Roc is what helped Brian recover his purpose in life. Through his foundation, Brian hopes to bring families and friends together to relax, celebrate, and enjoy great music, all in the spirit of helping in the fight against cancer. The Ulman Cancer Fund for Young Adults (UCF), founded in 1997, is the national leader in providing specialized support for young adults affected by cancer. With nearly 70,000 young adults diagnosed every year, our organization helps young people fight the disease and navigate treatment by providing access to information, support groups, and other specialized programs. UCF Patient Navigation Programs have set a national standard and can be accessed remotely or through onsite Patient Navigators at a growing number of hospitals in the Mid-Atlantic region. UCF changes lives by creating a community of support for young adults, and their loved ones, as they fight cancer and embrace survivorship. For more information, please visit, www.ulmancancerfund.org.